To all taobao shopaholics! Are you using 65daigou.com for your buys? Great news! 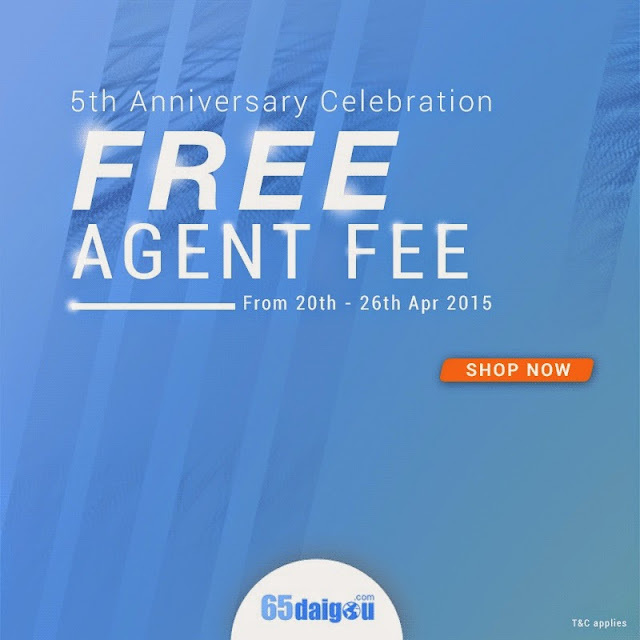 It's their 5th anniversary and they are celebrating it with us by waiving off the agent fee when we use the "Buy for me" service. Nice eh? Time for more shopping. I seem to have never ending stuff to buy. Sigh. I have no income and I am spending non stop. What a "good" wife. PS. This is not an advertisement. Good stuff must share.